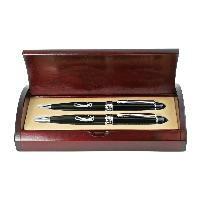 An exquisite ballpoint pen and pencil set in a rosewood finish box. 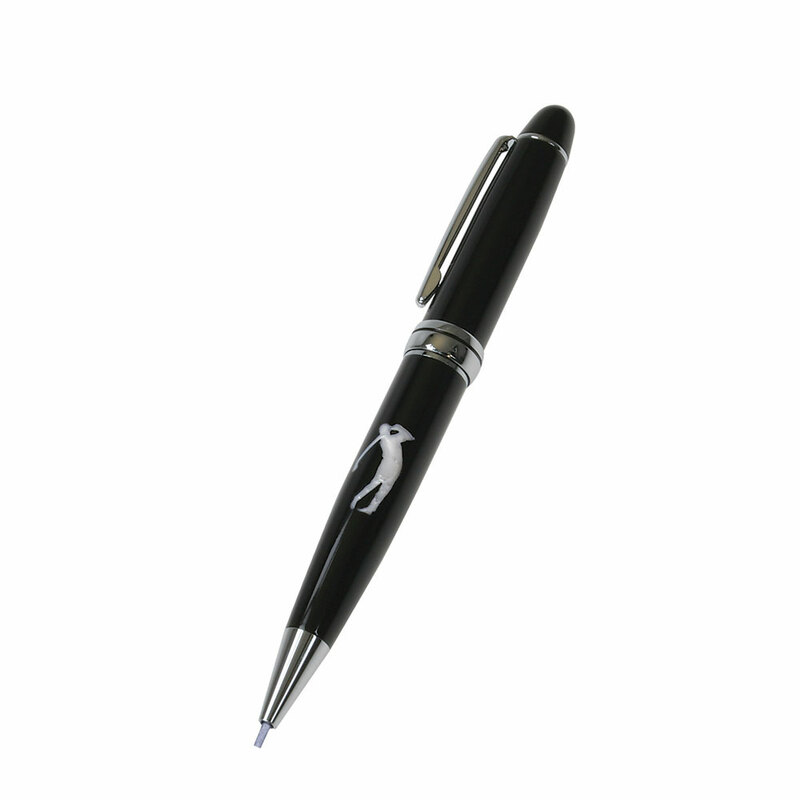 Both pen and pencil feature a golfer emblem on the barrel alongside a glossy black finish. The golfer emblem is ingrained within the barrel and so features a smooth feel. Barrels and tubes are constructed out of solid brass for a quality feel and construction. 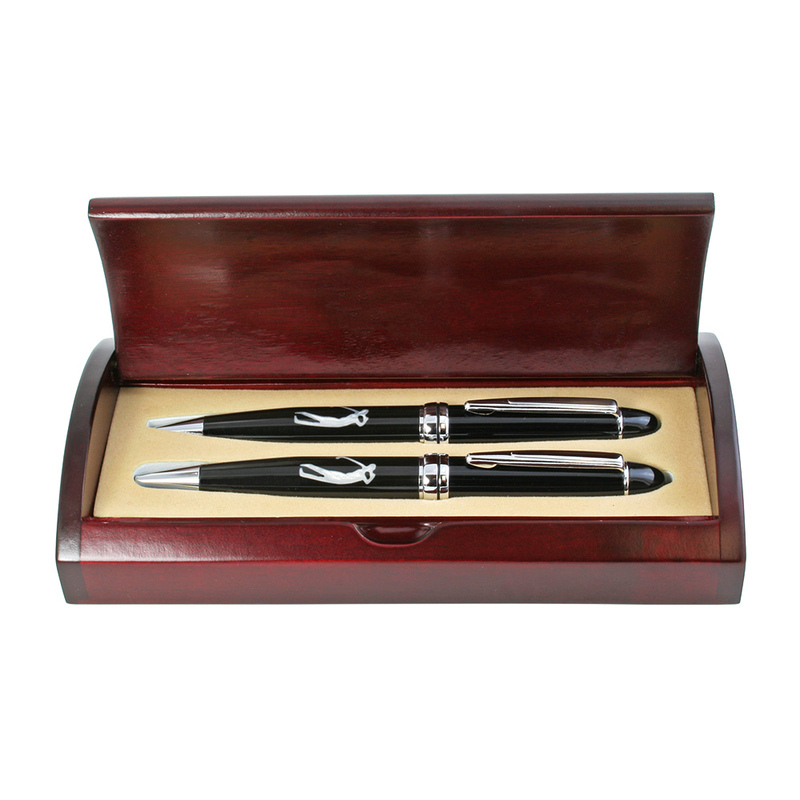 Pen is refillable, while pencil utilizes 0.9mm lead.